Home / Shipping News / Shipbuilding News / A giant stumbles in Subic: Too big to fail? A giant stumbles in Subic: Too big to fail? The full story of Hanjin Heavy Industries and Construction Co.-Philippines (HHIC-Phil) Inc., once touted as the shining star of Subic Freeport and an inspiration to Philippine policy-makers who used it as part of their basis to list shipbuilding among the country’s most promising industries, will perhaps not be known anytime soon. It is a saga that raises numerous questions, chiefly: how could such a big operation—representing the biggest investment for Subic—suddenly fail, as to force lawyers of the Korean giant’s affiliate to rush to an Olongapo court on January 8 to seek relief from holders of its $400 million in debt to leading local banks? HHIC-Phil has invested $2.3 billion in the Subic Bay Freeport since beginning operations in 2007. The shipyard has delivered 123 ships from the shipyard in the past 11 years. It is listed as the biggest employer and, until last year, its website had been touting new orders from regional shipping lines. Was the Philippine economic climate part of the context for the collapse? The Department of Trade and Industry secretary, and the Subic Bay Metropolitan Authority’s chief had both confirmed that the HHIC-Phil had enjoyed the incentives accorded to Freeport locators in the country, and more. It enjoyed, for instance, income-tax holiday and a P4-billion power subsidy that allowed it to access cheaper energy from the national grid for its humongous operations on the Redondo Peninsula, just across the bay from Subic’s main commercial district. And yet, as the BusinessMirror sought to unravel the mystery behind HHIC-Phil’s saga, it appeared that a confluence of problems—some self-inflicted, some possibly from the fallout of its own mother firm’s struggles in South Korea and others from the problems confronting the global shipping industry—had been hounding the company the past several years. For one, the incentives, especially the income-tax holiday and the power subsidy, had ended. Then, too, the company had been penalized with regulatory fines through the years for numerous violations of workplace safety standards, as inquiry after inquiry by both Congress and the DOLE focused on the deaths and injuries at the shipyard. Then, too, there was a local problem that coincided with the 2016 debacle of its mother firm in South Korea. HHIC-Phil’s agent, MOF, filed for voluntary liquidation, citing irreversible business difficulties. For all these, however, the financial problems that most impacted the giant shipbuilder and forced it to seek court relief arose mainly, it seems, from the payment system that afflicted most other big shipbuilders: a system that allowed buyers of ships to make huge payments only late into production, with the builders cobbling together loans to cover their operations. THE ripples reached the corporate shores of HHIC-Phil on Tuesday, January 8, as it filed for corporate rehabilitation at the Olongapo Regional Trial Court, seeking protection from its creditors. The company said “the total amount of guarantees and guarantees during the above warranty (guarantee) is [an] R/G balance as of January 8 of $85,199,038,” with the US$1=KRW1,119.50. “The application for commencement of the rehabilitation process is filed for rehabilitation proceedings in accordance with the Financial Rehabilitation and Insolvency Act of the Philippines and is similar to the corporate rehabilitation procedure under the Law on the Debtor’s Regeneration and Bankruptcy,” HHIC-Phil said. Company lawyers in Olongapo City declined to give details of the case but on Tuesday lugged 10 blue boxes that appeared to contain documents of the case as they entered the court’s premises at about 4:20 p.m. Court officials, however, declined interviews. The local Hanjin operations had laid off some 7,000 workers in December. Persons familiar with the matter said it plans to fire 3,000 more in the coming months, and retain some 300 workers that will maintain its factory located on the Redondo Peninsula, Subic Bay, Zambales. Whatever the real reasons may have been that pushed HHIC-Phil to the Olongapo court on January 8, one thing is clear: the workers are collateral damage. Amid its ongoing financial crisis, Hanjin Heavy Industries and Construction Co.-Philippines (HHICC-Phil) Inc. has started to lay off its contractual employees. Based on the latest report from DOLE-Region III, the Zambales-based shipbuilding firm retrenched at least 500 workers from one of its subcontractors. The DOLE also got reports of other subcontractors of HHICC-Phil, which are now seeking permission to reduce the number of work hours of their employees to cut their expenses. As of November 2018 HHICC-Phil had 22 registered subcontractors with a total of 11,526 workers. DOLE is still consolidating its December 2018 report before it could determine the total number of displaced workers from HHICC-Phil as a result of its ongoing financial woes. The BusinessMirror earlier reported HHICC-Phil had already retrenched 7,000 workers in December 2018. According to Bureau of Local Employment (BLE) Director Dominique R. Tutay, Labor and Employment Secretary Silvestre H. Bello III instructed them to prepare possible interventions for the displaced workers of HHICC-Phil. “We would encourage workers affected to retool/reskill themselves to take advantage of the job opportunities from other sectors,” Tutay said. HHICC-Phil is currently one of the biggest employers in the province of Zambales. Tutay said the affected workers can look for alternative employment opportunities in the following sectors: construction,; administrative support and manufacturing, other than shipbuilding. In its JobsFit 2022 report, the DOLE noted that HHICC-Phil is among the companies which helped cement the country’s reputation as the fourth largest shipbuilding nation in 2010. Citing studies from the Department of Trade and Industry (DTI) and the Board of Investments, the report tagged shipbuilding and ship repair among the emerging industries in terms of job creation up to 2022. “Opportunities abound in the country’s shipyards which are now building ships like bulk carriers, containers ships, and big passenger ferries and repairs of ships. Job prospects include skilled welders, steel cutters and engineers,” the report said. When news first broke of the Hanjin shipyard’s lawyers having filed for corporate rehabilitation on Tuesday to get protection from creditors, the DOLE had said it was monitoring possible labor displacement. In an interview, Labor Assistant Secretary Benjo M. Benavidez told the BusinessMirror they have yet to receive an official report of retrenched workers from the Zambales-based shipbuilding firm. “We will first check if the development will lead to any disruption in the company’s operation,” Benavidez said. On Tuesday, HHICC-Phil filed for receivership as it reels from the prolonged decline in international shipping demands. BENAVIDEZ explained that receivership means the company is suffering from financial instability and is now seeking for “life support” from other entities. “If the operation is not affected even if the company is under receivership, then no worker will be affected,” the labor official said. Benavidez gave assurances that the DOLE will provide aid like livelihood and employment facilitation to workers who may lose their jobs at HHICC-Phil. “If there is any displacement, that is when we will come in to offer our usual [assistance] programs,” Benavidez said. Contacted by the BusinessMirror, Trade Secretary Ramon M. Lopez confirmed that Hanjin Heavy Industries and Construction Philippines had once enjoyed the usual income-tax holiday from the Board of Investments. The income-tax holiday is usually enjoyed for up to six years of a locator’s existence. Hanjin shipyard was established in 2004. However, Lopez is unsure if Hanjin is still receiving any incentive from the Subic Bay Metropolitan Authority (SBMA), which is overseeing its business activity in the free-port area. Firms in economic zones and free ports, such as Hanjin, are usually granted tax perks, such as the 5-percent tax on gross income earned (GIE) in lieu of all local and national taxes. The Duterte administration’s second tax-reform program seeks to rationalize these incentives, and overhaul the entire menu of tax perks offered to locators such as Hanjin. “Hanjin is registered with the BOI and the SBMA. It is done with ITH with the BOI, but might still be enjoying something from the SBMA,” Lopez told the BusinessMirror. BESIDES the usual perks given to Freeport locators, HHIC-Phil also enjoyed subsidized power rates for many years from the Philippine government. “The total subsidy was more or less P4 billion over a 10-year period,” said SBMA Chairman and Administrator Wilma T. Eisma. The shipbuilder based in South Korea was given subsidized power rates during the Arroyo administration in a bid to “convince them to come and invest here since we have one of the highest power rates in Asia,” noted Eisma. In August last year, the average rates of the Manila Electric Co. (Meralco), the country’s largest power distributor, remained the third-highest in Asia. The amount represents the unpaid portion of Hanjin’s power consumption in 2018. According to an official of power market operator, Independent Electricity Market Operator of the Philippines Inc. (Iemop), Hanjin is a directly connected customer that still sources power from a generation company (genco). “NGCP only provides the transmission but power supply still comes from a genco sold to it through RES [retail electricity supplier]. Advent Energy Inc. of the Aboitiz is the supplier of Hanjin,” said Iemop president Francis Saturnino C. Juan. “I remember several years ago, Hanjin had a supply contract with PSALM [Power Sector Assets and Liabilities Management Corp.] wherein Hanjin was provided with preferential rate, pursuant to an executive order,” added Juan. THE problems faced by HHIC-Phils are now being compared to former subsidiary Hanjin Shipping Line Co. Ltd., which filed for court receivership in South Korea in August 2016. These inquiries as to the future of its business seemed, nonetheless, valid as MOF, an agent of Hanjin Shipping in the Philippines, also filed a petition for voluntary liquidation. According to BusinessMirror columnist Cecilio Arillo, MOF collected container deposits in the amount of P107.7 million from several importers and customs brokers. The Aduana Business Club Inc. (ABCI), representing more than 50 customs brokers, had insisted then, through its lawyer, that container deposits—given by importers and customs brokers to shipping lines as guarantee that containers will be returned in good condition—“are not part of MOF assets but are trust bonds for containers and thus should be returned,” according to an article in the industry newsletter Port Calls. STILL, there were no recent signs HHIC was struggling. In January 2018, to note, the South Korean shipbuilder unveiled the CMA CGM Antoine de Saint Exupery, the first 20,600 TEU (20-foot equivalent unit) container vessel built in Subic. As of late November last year, Hanjin still sounded optimistic as it announced the delivery of two units of 114,000-deadweight crude oil tankers to its Singapore-based client Eastern Pacific Shipping (EPS). 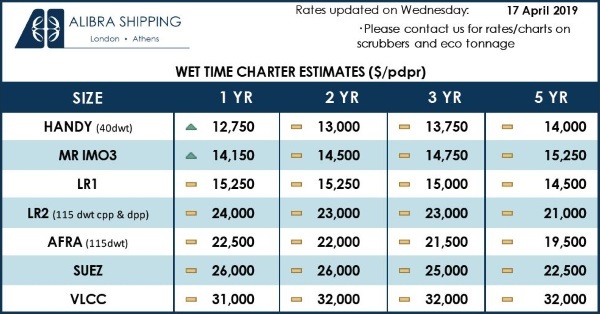 Hanjin reported on its website then that EPS was also expecting two more tankers of the same kind for delivery in the first quarter of 2019. 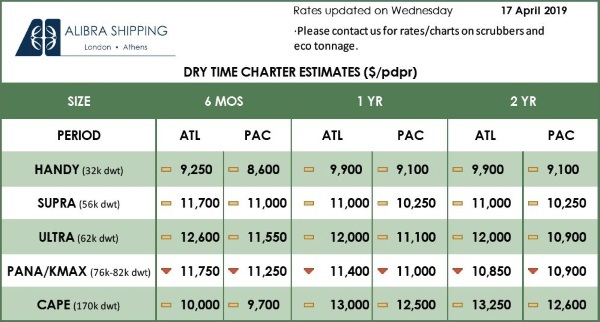 “And with the positive business momentum of HHIC Phil and Eastern Pacific shipping, the latter have ordered two more tanker vessels that [are] set to start construction in the second quarter of 2019,” the Hanjin report added. Such optimism was characteristic of a company which has delivered 123 vessels since July 2008 when it rolled out Argolikos, the first container ship to be built in the Philippines. That record meant that the company was churning out production at the rate of more than 12 vessels a year. Hanjin’s petition to seek relief from creditors sent a shockwave through the business community in Subic, which has seen the meteoric rise of the South Korean firm since it started operation in the former US base turned free port in 2006. “It’s really sad that Hanjin would be in dire financial straits after successfully building some of the world’s biggest ships here and putting the Philippines on the map as the world’s fifth-largest shipbuilder,” said Eisma, who met with a high-ranking Hanjin official last Saturday to discuss the rehabilitation scheme. The Subic shipbuilder is a subsidiary of Hanjin Heavy Industries and Construction Co. Ltd. (HHIC), the South Korea-based multinational that provides shipbuilding, construction and plant services worldwide, and is thus backed by one of the biggest chaebols, which are conglomerates with affiliated companies. Hanjin initially pumped $1.7 billion to complete its 300-hectare shipyard on the Redondo Peninsula in Subic, Zambales, in record time, and in 2016 the company’s foreign direct investment stood at $2.3 billion, the biggest in Subic since the free port was established in 1992. By August 2015, Hanjin was already the single-biggest employer in the Subic Bay Freeport, with workers at its Redondo shipbuilding facility making up 36 percent of the total Subic work force. That year, the SBMA said it expected Hanjin workers to breach the 30,000 mark, as the company was signing more shipbuilding contracts. In the same year, the SBMA credited Hanjin among the major growth contributors in the Subic Freeport as the firm set out to complete at least 17 ships worth over $1.6 billion. In January last year, as Hanjin delivered the CMA CGM Antoine de Saint Exupery HHIC-Phil President Gwang Suk Chung said the new vessel represented a breakthrough in global shipbuilding. “This newly built 20,600-TEU vessel proves, among others, the strength and capability of our Subic shipyard to manufacture in a timely manner mega-ships of much higher quality tonnage that are now shaping the shipping landscape around the world,” Chung said. Hanjin’s fall appears to follow the path that has waylaid some of South Korea’s top shipbuilders since 2010. In a report by the South Korean news agency Yonhap in May 2016, it was said that heavy-tail contracts—where the buyer makes a larger payment late in the building process—may have led to heavy borrowings by Hyundai Heavy Industries, Samsung Heavy Industries and Daewoo Shipbuilding & Marine Engineering. Pyong Jong Yu, HHIC-Phil’s executive director for administration, was said to have confirmed as much during a meeting with Eisma on Saturday when he said that Hanjin has agreed to heavy-tail payments. A source said Yu revealed that the Subic shipbuilder has incurred at least $100 million in losses because of stiff global competition, low prices of ships, and low production at the local shipyard. In a statement on Wednesday, Eisma said she was informed that Hanjin owes some $400 million in outstanding loans from Philippine banks on top of another $900 million in debts with lenders in South Korea. The company still has six pending multimillion-dollar new building projects at its Redondo Peninsula shipyard, and these may have to be canceled if a rehabilitation plan does not materialize, Eisma also said. “The bottom line is that the company said it does not have enough cash to repay its loans, and that it cannot continue with its operations under these circumstances,” Eisma added. Eisma also said that in the face of recent liquidity problems, Hanjin had laid off more than 7,000 workers last December and is poised to lay off another 3,000 early this year. The plan is to retain just about 300 local workers and as few as seven Korean supervisors by March to do facility maintenance, she added. “The SBMA, of course, expressed its concern about the separation of shipyard workers, but we received assurances that those who were laid off were amply compensated. Still, we’re having this aspect checked out,” Eisma said. According to sources, Hanjin’s best scenario would be when the local creditor banks agree to the firm’s rehabilitation plan, which may involve the conversion of its debt to equity. The worst would be when the court tells Hanjin to liquidate its assets outright. Eisma said the SBMA is now working with Hanjin officials to find some way to keep the shipbuilder, which has helped build Subic’s huge reputation in the global maritime industry. “I really hope that Hanjin’s creditors would agree to some rehabilitation plan, or that the company would find some financial partner to continue with its shipbuilding operations in Subic,” Eisma also said. Specifically, Hanjin would need a white knight, a friendly party that would come to the aid of the ailing giant. In mid-2018, there was talk of negotiations with Davao’s Dennis Uy, but such fell through. Hanjin had reportedly talked to various parties but had not made any real progress on negotiations. However this story ends, it has become another cautionary tale for businesses, local or global, that achieve phenomenal growth on heavy borrowing. And, as the cliché goes, the bigger they are, the harder they fall.